This entry was posted in Cloud and Data Center and tagged Deep Security 10, hybrid cloud, IDC, server security, VDI on February 14, 2017 by Kurt Vanderhaegen. Hybrid cloud security: it’s your responsibility! 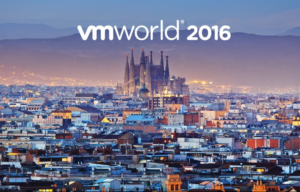 This entry was posted in Cloud and Data Center, News and Events and tagged GDPR, hybrid cloud, vmworld on November 29, 2016 by Steven Heyde. Google Docs, iWork, Office 365, … The number of organizations that has made the switch from local mail servers to a cloud-based collaboration offering, is growing at an increasing pace. This entry was posted in Cloud and Data Center, Cybercrime and Cyber Attacks and tagged cloud collaboration, Office 365 on September 29, 2016 by Steven Heyde. This entry was posted in Best practices, Cloud and Data Center and tagged IaaS, PaaS, saas on May 25, 2016 by Kurt Vanderhaegen. In most organizations today, cloud services are a fact of life. Whether you’re deploying and managing servers in the cloud, building on top of a globally distributed platform, or consuming constantly updated services, the cloud is a fundamental part of your IT service delivery…whether you know it or not. This entry was posted in Best practices, Cloud and Data Center and tagged IaaS, PaaS, saas on May 20, 2016 by Kurt Vanderhaegen. This entry was posted in Cloud and Data Center and tagged Azure, Deep Security, IaaS, On-Prem, PaaS, saas on May 3, 2016 by Kurt Vanderhaegen.